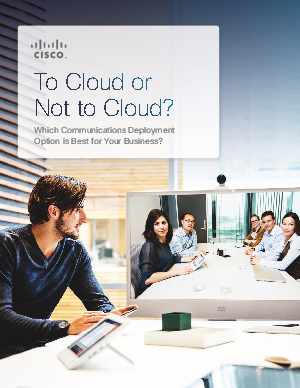 You have three choices for using Cisco® Unified Communications and Collaboration applications: on-premises, in the cloud, or a hybrid of the two. The option that is best for your company depends on your IT skills, budget priorities, growth plans, and customization requirements. This guide, intended for organizations with 100 to 1000 employees, will help you compare the options.